Kate’s wide ranging experience as a pianist encompasses solo work, improvisation and collaborations with leading performers and ensembles in dance, electronics and theatre where she has established herself as a versatile and original performer. She has had many works created for her by composers in the UK and abroad. She was appointed Creativeworks Entrepreneur in Residence at Kingston University 2014 enabling her to continue her research into the development of a “super-piano” by employing midi devices and extended techniques. 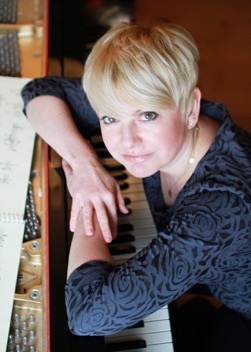 She has a particular interest in working with unusual keyboard instruments including the MRP, Toy pianos, and the Prepared piano, commissioning new repertoire, performing, recording and giving workshops on these unique instruments. with other instruments including the Harpsichord, Dan Tranh (Vietnamese zither) and sonic art based in Sweden, and has held several international residencies including Visiting Artist at UC Berkeley (with Keynote +), Brunel University (with Pianocircus) University of Bogotà, and Goldsmiths, University of London. 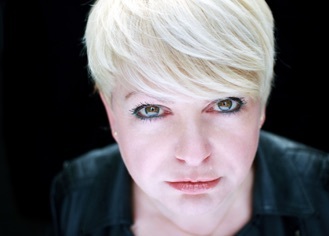 She has toured widely, taking her projects - and instruments - to festivals in Australia, Scandinavia and Russia and has curated events at London’s South Bank Centre for their Massed Piano weekend, and for the Cornelius Cardew Festival. She is a visiting artist and teacher and is currently on the staff at Kingston and Middlesex universities. Current research interests include working with augmented instruments and developing new techniques, music and memory (with Dr Marilyn Wyers) and researching the music of transatlantic women composers.